I’ve decided to start a new series on my blog that’s been inspired by my lovely friend Linda, and the app Letterboxd. Linda uploads a weekly series called “What I’m Watching Wednesday”, where she talks about everything she’s watched that particular week, including TV shows and movies. I really enjoy following these and nosing at what TV shows she’s hooked on! You can check out her latest What I’m Watching Wednesday post here (please go and show it some love 😊): https://lindaslittlelibrary.wordpress.com/2018/10/24/what-im-watching-wednesday-59/. I can’t even begin to tell you how excited I was, I actually squealed in excitement. I genuinely don’t know how it’s taken me so long to discover this website/app, but boyI am SO happy about it! I downloaded it straight away and started to log all of the films I watched in a September. After doing this I thought that it could be interesting to share my logs each month on my blog. Rather than posting weekly logs like Linda, I’m going to post monthly as this best suits my blogging schedule. As I’m primarily a book blogger I don’t want to post non book related content too often as I understand the majority of people who read my posts are here for the books. I just thought this may be a fun and interesting little extra post to share once a month. I’m only currently going to be sharing the movies I’ve watched. If you would like me to share a summary of the TV shows I’ve watched each month too though, let me know. My plan is to share the movies I’ve watched, give them a star rating out of 5, and write a quick summary of my thoughts on them! I tried to watch quite a few 80’s films that were on Now TV that I’ve been meaning to watch for years this month! Thoughts: I thought it was okay, but it wasn’t what I expected it to be. 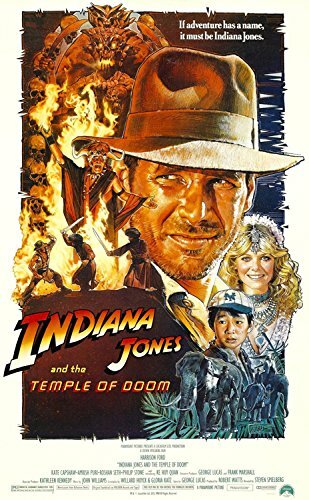 It would have helped if I’d started with the first Indiana Jones film I think, starting with the second was a little confusing! It was okay though. Thoughts: I’ve been avoiding this film for years because there’s so much hype surrounding it. Even so, I didn’t actually know much about the plot going into it. Unfortunately it fell a little flat for me and I didn’t really see what all of the fuss was about. I enjoyed how deep it was in parts, but I found a lot of the characters irritating rather than funny, such as John and Allison. The best part for me was when the teacher tried to hold the door open with chair, I couldn’t stop laughing when it slammed shut. Thoughts: I haven’t seen this film for years, it’s crazy how many scenes are the same as some in The Jungle book. It’s a good film, but not my favourite Disney animation by far. Thoughts: I much preferred this compared to the second one. It was a good film and I particularly enjoyed the ending. However, I had this idea of what the Indiana Jones films were like in my head and they just didn’t fully live up to my expectations. Given that I love Ancient History and Archeology, I thought I would have enjoyed the films a lot more than I actually did, which is a shame. Thoughts: If you’re not familiar with this film, it’s based on the board game Cluedo. As it’s a film from the 80’s, there are some questionable scenes and things said that definitely wouldn’t be okay in today’s society. That aside, the premise behind the film was brilliant and I’d love for there to be a remake. I enjoyed the slapstick humour used and the ending where the host goes through all of the possible scenarios that could have happened, much like what happens in the game. Thoughts: I’ll be honest, I didn’t hold out much hope for this film. It’s one I’ve actively avoided watching as I didn’t think I would enjoy it and being a cult classic, I knew I’d be judged hard for disliking it. My boyfriend finally managed to convince me to watch it though and I was pleasantly surprised. I enjoyed it and could appreciate why so many people love it; it has a great attention to detail and nods towards the comics it’s based on. I also loved the casual Bi rep in it. It was also hilarious to see Chris Evans play the character he does in it too. Thoughts: I wasn’t blown away by this film, but I did enjoy it as I love dancing and music. It was funny to see Kevin Bacon playing this sort of role as I’ve only ever seen him in Apollo 13 before this! Thoughts: If you know me, you know that I love the Marvel Universe, particularly Spider-Man. He’s always been my favourite superhero and was the reason why I became invested in Marvel. I loved the Toby Maguire films. I know they’re not the best, but they kickstarted my interest so I’ll always love them. I wasn’t hugely fond of Andrew Garfield as Spider-Man and really didn’t enjoy the first film Sony made, The Amazing Spider-Man. I much preferred the sequel though and was gutted when they announced they weren’t making anymore films, especially when they’d set it up so well for a few more films at the end of the second. When Disney released that Spider-Man was going to become a part of the MCU and Tom Holland would play him I was sceptical… until I saw the Captain America: Civil War trailer that is. He quickly became my favourite Spider-Man and I think he’s absolutely perfect for the role. I’ve rewatched Homecoming a few times now and it’s easily in my top three favourite Marvel films, it’s absolutely fantastic. It was good that it wasn’t really an origin story and jumped straight into the action. It’s hilarious, action packed and absolutely brilliant! Thoughts: I absolutely loved the first film and the second did not disappoint. This was my second time watching it and I enjoyed it just as much as the first. I absolutely love Taron Egerton, Channing Tatum and Colin Firth – *drools*, so of course I’m going to love a film with all three of them in. It’s hilarious, heartbreaking and action packed, the story line is genius too. The only reason I can’t give it a 5 is because of the one part close to the end. I won’t give any spoilers, but to those who have seen it I’m going to say 5 words – country road take me home. It broke me 😭, such a fab film though! I have heard of Letterboxd but didn’t know it was like Goodreads, for books. I am signing up right away. And thanks for sharing the post. SPIDER-MAN HAS ALWAYS BEEN MY FAVORITE TOOOOO. FINALLY SOMEBODY GETS IT. The reason I’ve always loved him best is that he is this quirky high schooler trying to navigate teenage life and he is just such an awkward potato (that’s okay Peter – I still love you!). Then you mix in the whole super hero thing and its just a recipe for a good story. I always felt like the Toby Maguire movies glossed over the high school years too quickly for my liking, and the Andrew Garfield movies made Peter way to attractive and suave. Plus, it felt much more like a romance than a superhero movie. BUT Tom Holland’s Spiderman really captured the awkward teenage side of Spider-Man that I’ve always loved! Anywayyyys enough of my rantings! Thanks for a lovely and wonderful post! I had no idea that there was a site like Goodreads, but for movies! I agree, I watched The Breakfast Club for the first time recently and HATED it. I also love Kingsman series! Modern classics if you ask me.